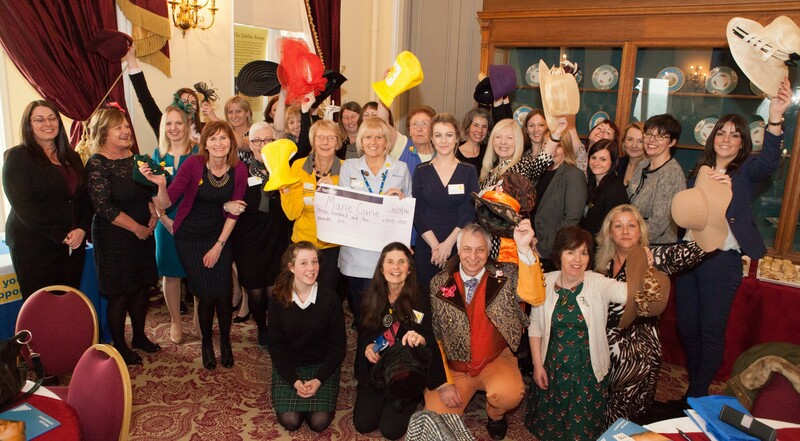 THE Mad Hatter was among the guests at a fundraising event in aid of Marie Curie Cancer Care. Organised by accountants and business advisers Clive Owen LLP, in Darlington, the annual fundraiser, to mark International Women’s Day, was staged at The Bowes Museum, in County Durham. The fourth of its kind, this year’s event raised £200, which Clive Owen LLP topped up to make £310. It brings the total raised over the four years to £1,000. Following previous themes of Women In Colour, Rags To Riches and Paint It Purple, the latest was the Mad Hatter’s Tea Party, as depicted by author Lewis Carroll, who lived for part of his childhood in Croft-on-Tees. The event brought together businesswomen from across the region to hear a talk on positive thinking and mindfulness by psychologist Alison Doherty, from Stockton-based Alliance Psychology, and enjoy afternoon tea. Michael Harrison, of the Richmond-based Mad Hatter Tea Company, was dressed as the Mad Hatter and also gave a talk and. As well as tea, guests could buy Alice in Wonderland-themed gifts from Had2Buy and clothes and accessories from Ladylike Fashion. Stallholders donated raffle prizes and photographer Caroline Conway was on hand to capture images. Organiser Margaret Gill, marketing manager for Clive Owen LLP, said the amount raised was a remarkable achievement, with every £20 buying an hour’s nursing care. She said: “Every year this event is down to the support of people like the speakers and the businesses involved, and really it’s as simple as businesswomen from across the region coming together.